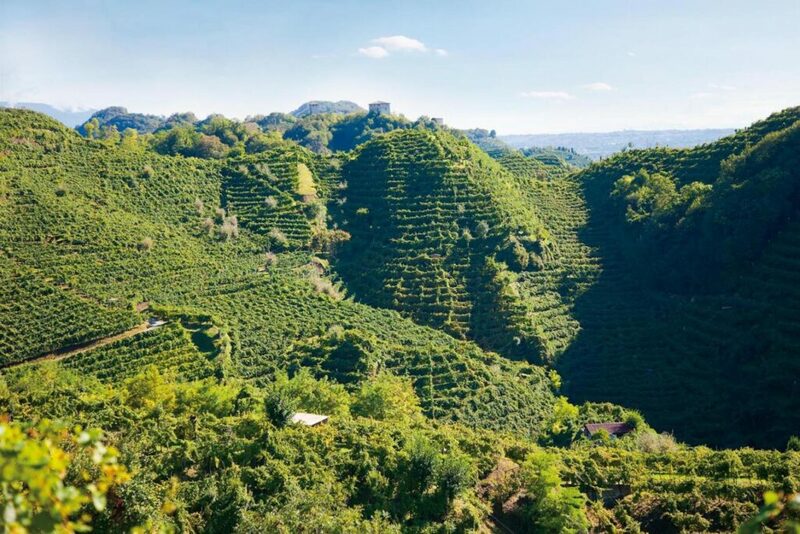 The region of Conegliano Valdobbiadene, nestled in the steep hills north of Venice, is a historic area for production of Italy’s most popular sparkling wine: Prosecco. It is only one of two areas of prosecco production to be granted DOCG status which is Italian winemaking’s highest level of quality. Consumer interest in prosecco has been bubbling over. A 2016 Wine Market Council report noted that 34% of sparkling wine consumers were buying prosecco, and there was a seismic surge in overall prosecco sales. Gasps bubbled over in the wine world: Mon Dieu! Was prosecco starting to outpace Champagne? There are many kinds of prosecco. But for serious wine consumers, Conegliano Valdobbiadene Prosecco DOCG, also referred to as Prosecco Superiore DOCG, is considered the best. 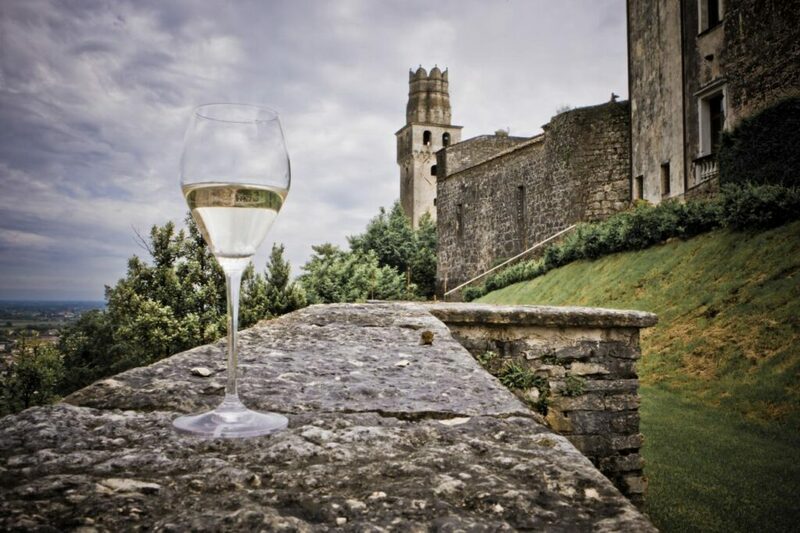 According to Alan Tardi, U.S. brand ambassador for the Consorzio di Tutela del Prosecco Superiore, the Conegliano Valdobbiadene region is distinguished by its steep hills. Some hillsides are so steep that the vineyards are terraced, and grapes must be hard harvested. Many of the producers are independent farmers cultivating small family plots. 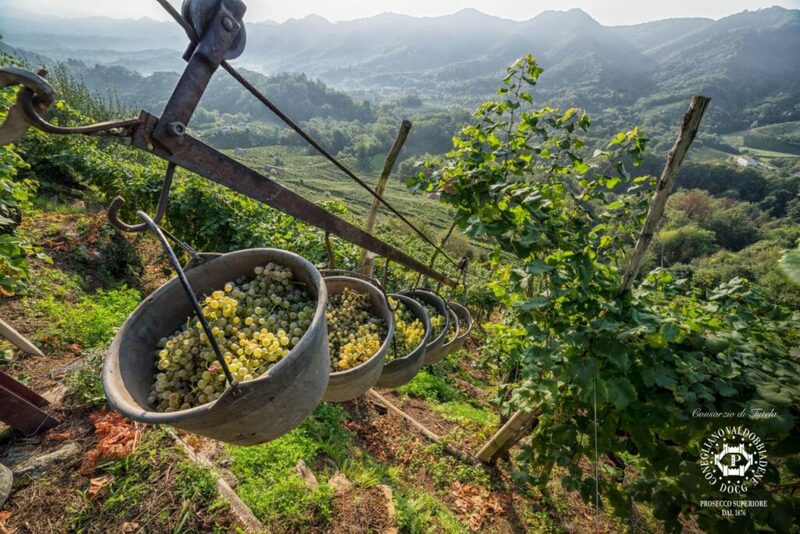 The primary grape that goes into making prosecco is the local varietal Glera. Prosecco Superiore DOCG must be made from 85% Glera. Another distinguishing characteristic is the vinification process. Prosecco Superiore DOCG is produced by the Charmat method using pressurized, temperature-controlled tanks to capture the bright bubbles. The result is a burst or brightness and a delicate touch of green apple on the palate. This process is also referred to as the “Italian or “Martinotti method” named after Federico Martinotti who is widely credited as its creator. BRUT Prosecco is the dryest style with residual sugar of 0 to 12 grams per liter (g/l). The wines have a touch of minerality and herbal notes. 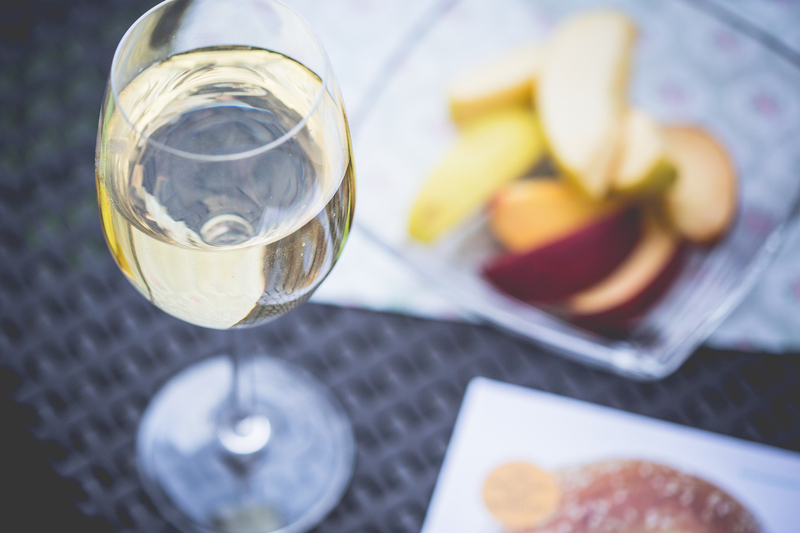 EXTRA DRY Prosecco with 12 to 17 g/l is considered the most traditional type with hints of apple, pear, and citrus. DRY Prosecco with 17 to 37 g/l is actually the sweetest. Flavors are more intensely floral with notes of white peach and green apple. • The name Conegliano Valdobbiadene on the label along with the DOCG strip. 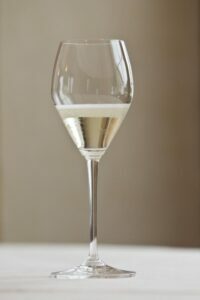 Prosecco is widely enjoyed as an apertivo, either as a stand-alone sip or in a cocktail. The most famous prosecco cocktail is the Bellini – a flute of prosecco laced with fresh juice from white peaches. This recipe was invented by Giuseppe Cipriani, founder of Harry’s Bar in Venice. However, the range of styles of prosecco can pair nicely with different kinds of foods, especially seafood and light pasta or vegetable dishes, throughout a meal. A popular pairing is prosecco with a chunk Parmigiano-Reggiano cheese drizzled with some balsamic vinegar. There are myriad ways to enjoy and serve prosecco. But whatever you do, don’t refer to it as Champagne. Prosecco is in a class by itself.